Are any of you out there are of a mind to eat taiyaki from the tail first. Or perhaps you are one of those who eat it from the head instead? Well, the season for that kind of chat has arrived you see, it’s winter! 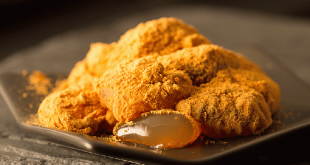 And here you are, on your way home, carefree and happy, with an irresistible feeling of happiness and good fortune in the palm of your hands as we bring to you this feature, the best taiyaki stores in Tokyo. So whether you are on your way home from school, work or even if you are mamma coming back from some shopping, let this year’s winter’s little wonders of joy bring a smile to your face with their warmth and fluffiness as we bring you our top ten taiyaki stores! 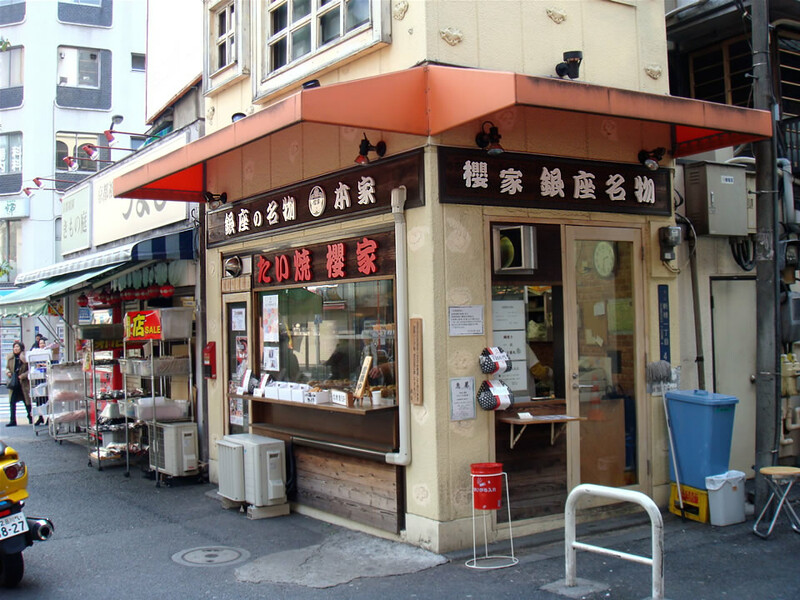 An 8-minute stroll from Yotsuya station, Wakaba is the name that all fans of taiyaki bring up when they talk shop. It’s that famous. Doing a brisk trade, Wakaba is open until early evening and their taiyaki goes for a miserly 150 yen per piece. That’s less than two dollars for a serving of belly-warming happiness. What surprise! 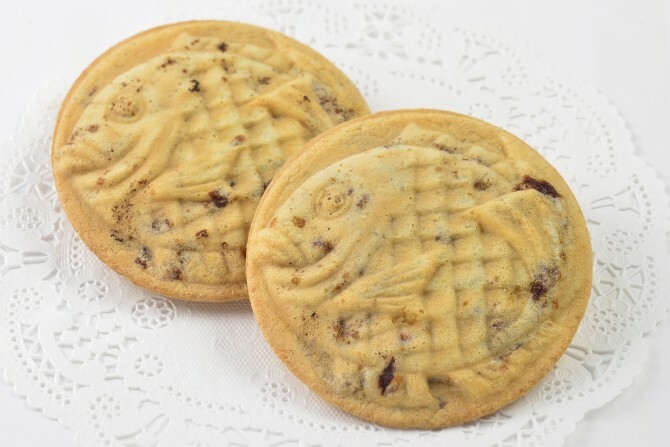 Their extra sweet red bean paste filling is the perfect match for the slightly salty dough. 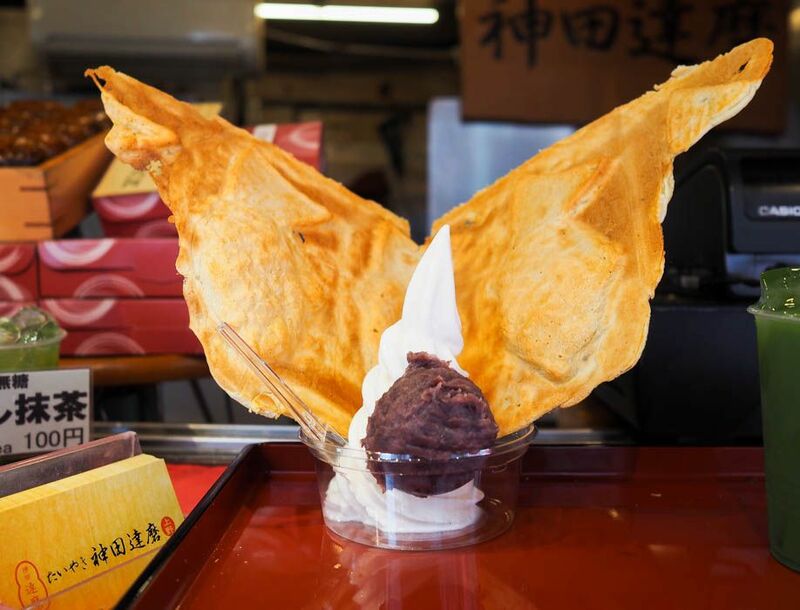 As you would expect of place believed to be one of the Tokyo’s ‘Big Three’ taiyaki stores, Wakaba receives a storm of high praise and reviews. Those who can brave the chill and get in the queue early during winter can consider themselves the recipients of some terribly good fortune. 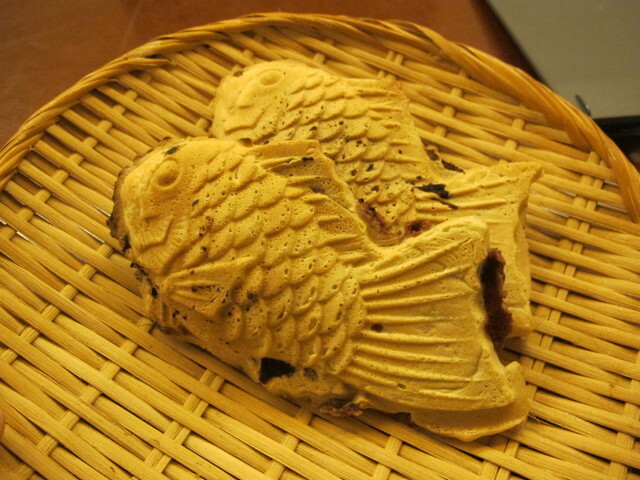 By the way, the tails of their taiyaki are filled with paste. It even says so on their plates so make sure you start tail first! 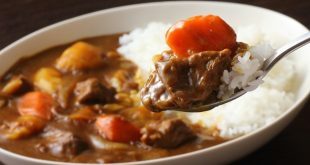 Within a stone’s throw from Azabu Juban station, is the equally famous Naniwaya. 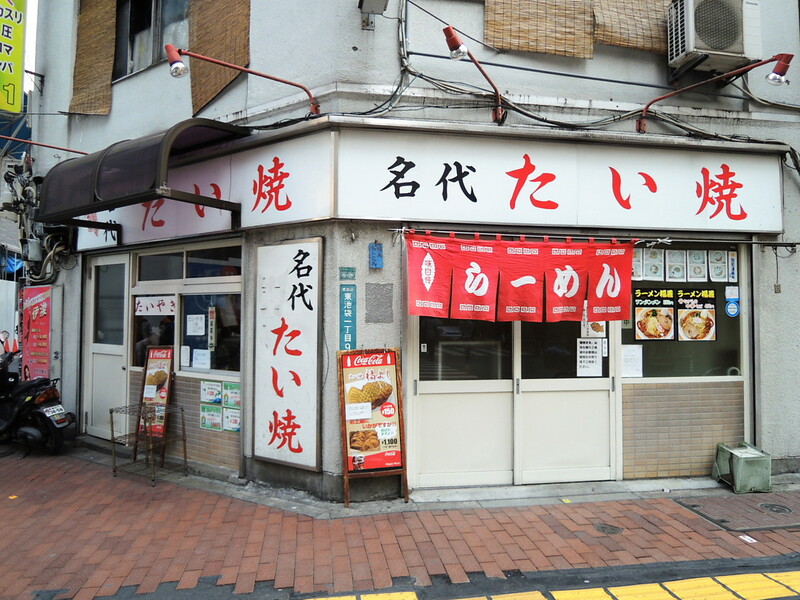 Established in 1909, and with another store in Asakusa, you’re looking at a veteran of the taiyaki game, with over 100 years of experience and history. It was Naniwaya that provided the model and inspiration for that massive Japanese hit song in 1976, Oyoge! Taiyaki kun (Swim! Little Taiyaki). Naniwaya also has a firm hold on its position as one of the Big Three. 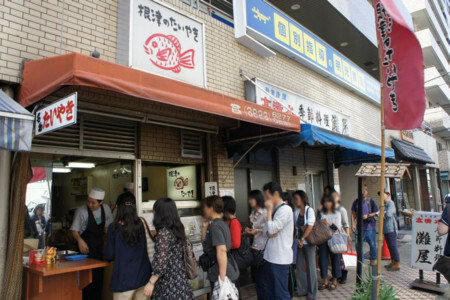 The taiyaki here has won over the hearts and minds of those fans who long to enjoy the tastes of the old flavours. But you have to wait for it. An average serving time is around 15 minutes. But people don’t seem to mind. It’s part of the charm. And if you just can’t wait, well, you can always order in advance and beat the lines. This is salaryman town. Japan’s ubiquitous business suits are on full display here in Shimbashi but even surrounded in a sea of dark suits, you can’t miss Sakuraya. It’s only a couple of minutes from the station. Sakuraya have a thin skinned taiyaki for 190 yen and a thick, chunky one for 210 yen. 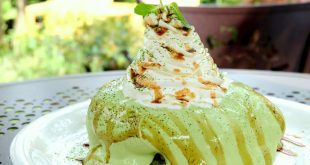 With a chunky taiyaki wrapped in a volume lover’s sensation, it’s the one item at Sakuraya that they like to boast about. During your lunch break or even on the way home, you’ll definitely want to stop by. With the succulent sweetness of their paste soothing your tired body… oh yes, for sure you’ll want to stop by. So don’t worry if you like your taiyaki batter thick or thin. At Sakuraya, either is okay! Here we have another name that always comes up when talking taiyaki. A store with attitude – they refuse to be shown on television! 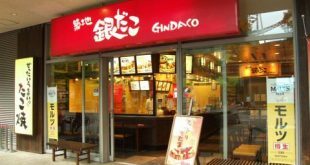 – Yanagiya is only a minute’s walk from Ningyocho station on the Hibiya subway line. Make sure you take the number 5 exit out of the station. If you take the wrong exit, you risk missing out on the third member and final member bearing the title one of Tokyo’s Big Three taiyaki stores. And you don’t want that! Established in 1916, Yanagiya have officially hit 100 years old and are still going strong. They use a slightly crispy batter for their dough, one that is light with a hint of saltiness. Their bean paste is not too sweet either making it the perfect taiyaki for the savoury leaning crowd. They’re flexible with their trading hours too so if lining up is a pain, relax, they’ll probably still open for you. 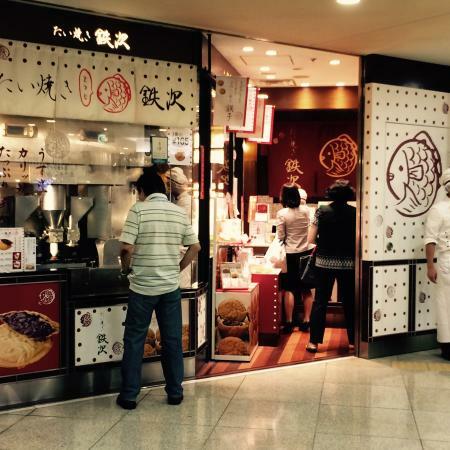 Here is something different, a taiyaki store that doubles as a ramen noodle shop! Who would have thought!?! But it’s true. 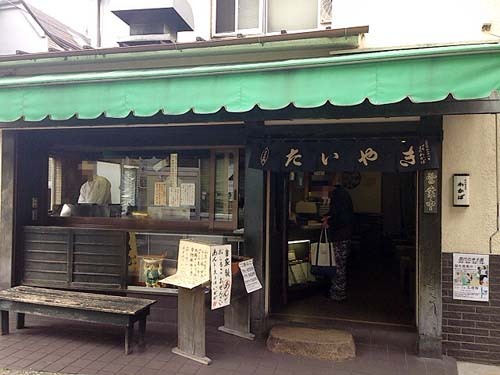 And you’ll find Fukuyoshi about three minutes from the east exit of Ikebukuro station. It’s a rather unique place that has even been featured on the famous Japanese game show Tonneruzu no Minasan no Okage Deshita. If you don’t know this show but you know Brain Wall, then you will know the show! And if you don’t know either, it doesn’t matter because in spite of Fukuyoshi touting its ramen noodles as being where the flavour is, taiyaki fans from all over Tokyo swear by this place. No, I don’t understand it either but you can’t beat the word on the street. And that word is Fukuyoshi. It’s still a bit of an unknown in the world of taiyaki but Miyamaen in East Shinjuku is right in front of your eyes as you step out of the east exit. 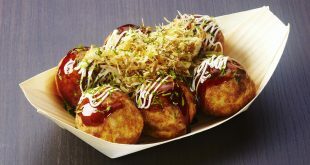 You can also walk from Shin Okubo but even if you do, you may still miss it as Miyamaen not only doubles as tea store but triples as a takoyaki one as well! 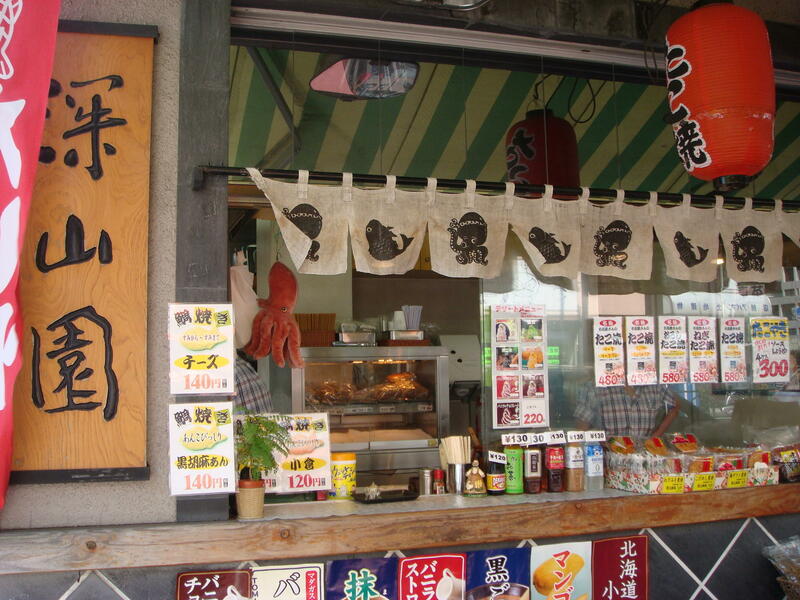 Miyamaen has its fans who all marvel at Miyamaen’s ability to make great tea, takoyaki AND taiyaki. In saying that, the crowd swears by the taiyaki here. After reading it here, expect its stocks to rise. Seven minutes’ walk from Nezu station, Nezu Taiyaki is awash with hundreds of fans on the internet who all swear by this place. 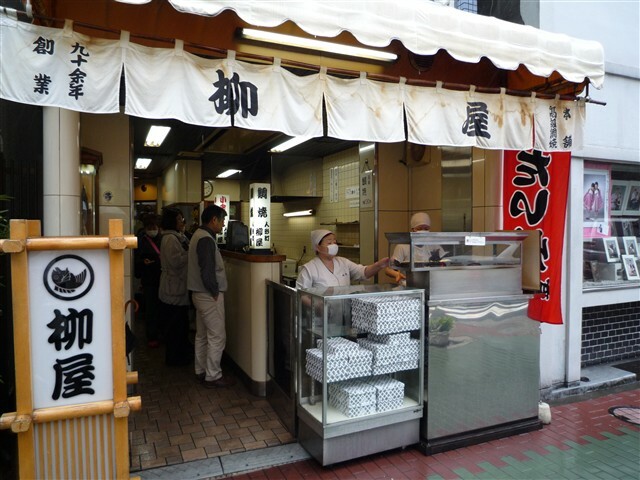 Starting in 1957, Nezu Taiyaki has a half century of history and is maturing nicely into a taiyaki veteran. Since it’s close to the famous Nezu Shrine, the store draws in a large crowd during shrine festivities, particularly those returning from their New Year’s shrine visit. 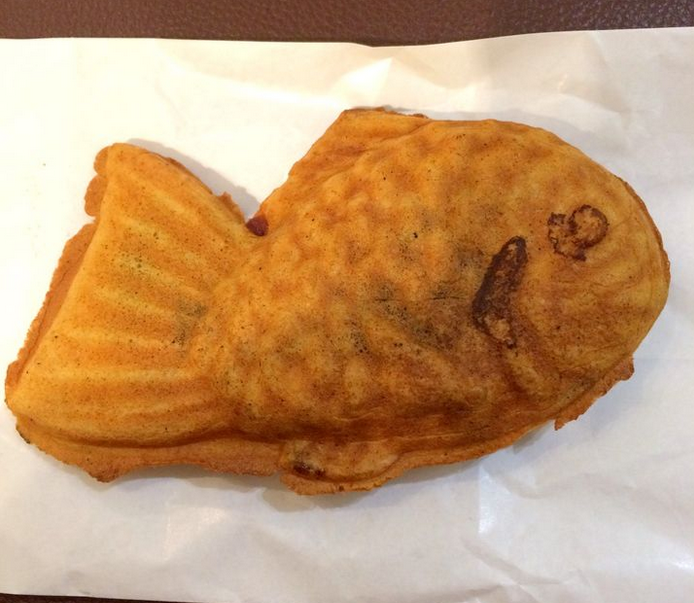 With a light and crisp batter, they only make one kind of taiyaki and all of them are handmade and with a single mold. They also fill their fish with red bean paste all the way into the tail. Just awesome. And now for Taiyaki Tetsuji! Located in Daimaru Department Store, Tokyo, Tetsuji is open until 9pm each night and is quite well known for its perfectly round taiyaki. 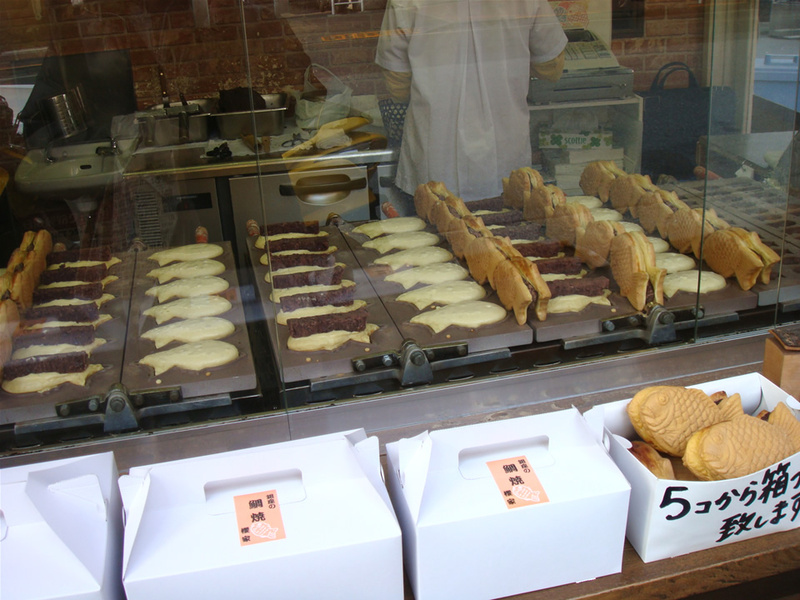 Unlike the others store in this list, the taiyaki here are machine made, each one a perfect replica of the one before it. 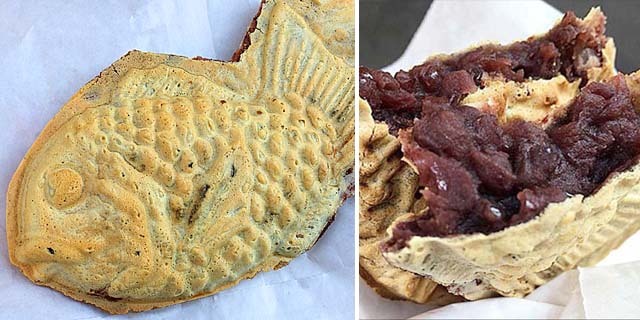 Now hold it, before you turn your noses away at Tetsuji for not being ‘authentic’, rest assured that this three shop mini-chain store wouldn’t be the success it is if the taiyaki that came out of its machines were just average. The taste is full of sweet bean joy and their batter is thin and crispy. 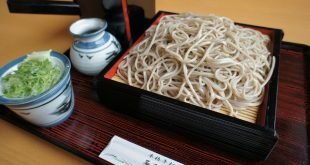 Tetsuji is the perfect snack before you board your bullet train. You won’t be disappointed! 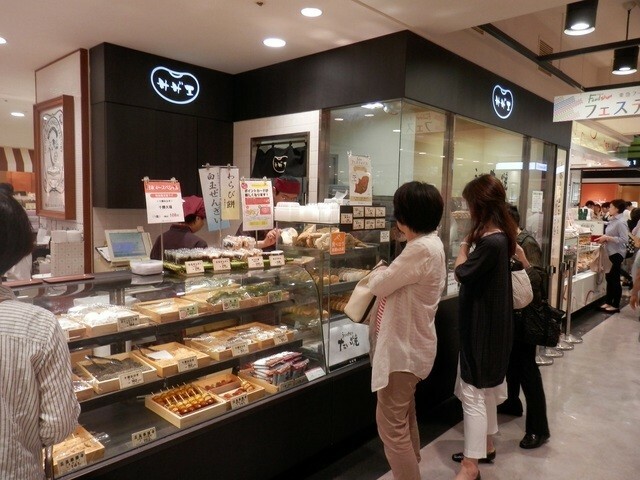 In the basement of Tokyu Department Store is Tokyu Foodshow, a sprawling food hall in Shibuya Station. The place is massive and is just teeming with, well, food. Including taiyaki! As you can imagine, Tokachi Daimyo is the place to be. For only 130 yen you’ll get their showpiece taiyaki. But they have another surprise, oyaki! And what is oyaki? Well, it’s a kind of dumpling made from aged buckwheat dough filled with vegetables, fruit, or, seeing as we are here for the taiyaki, red bean paste. What a perfect little treat in winter, some nice and fluffy taiyaki and a steamed bean paste bun. You just can’t go wrong with that now can you? 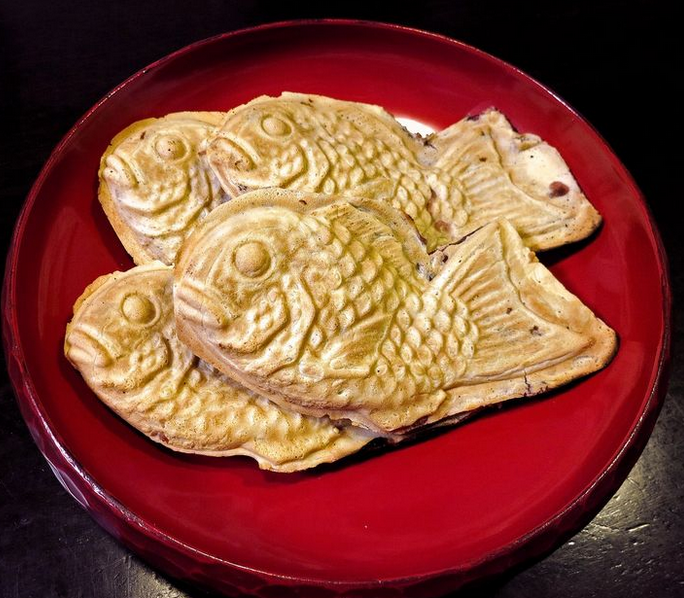 To round out our list, the wings attached style of taiyaki is the specialty of Taiyaki Kanda Daruma. 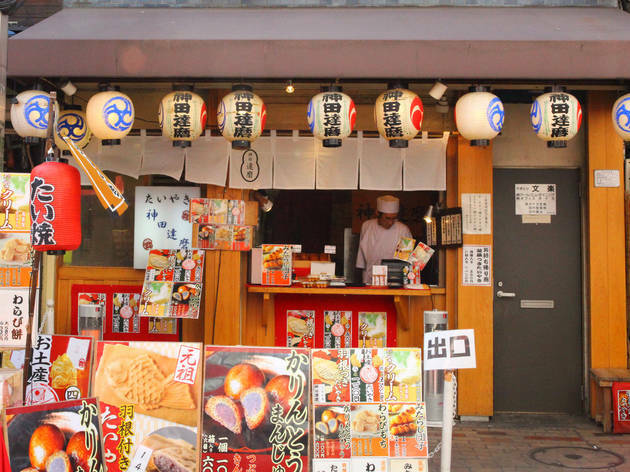 From their main store in Ogawamachi they’ve branched out to several locations including Ueno, a sign that things are doing quite well for the Daruma. 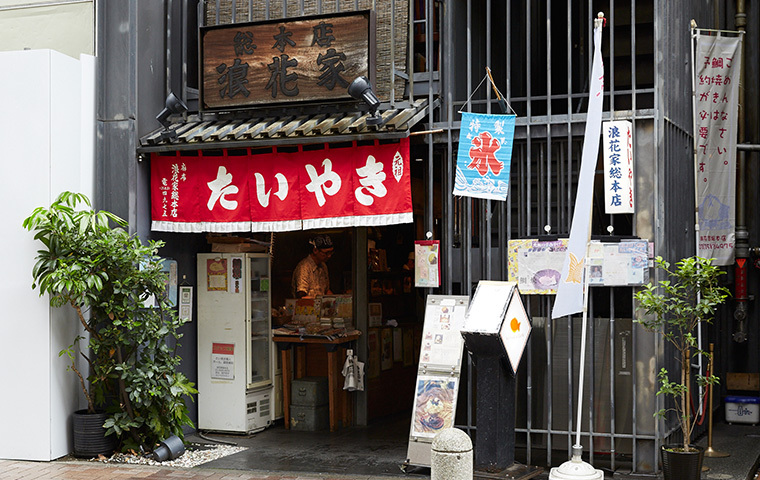 At 140 yen apiece, Kanda Daruma is only 100 metres from Ueno Station’s Shinobu Kazu exit in quite an ideal spot. 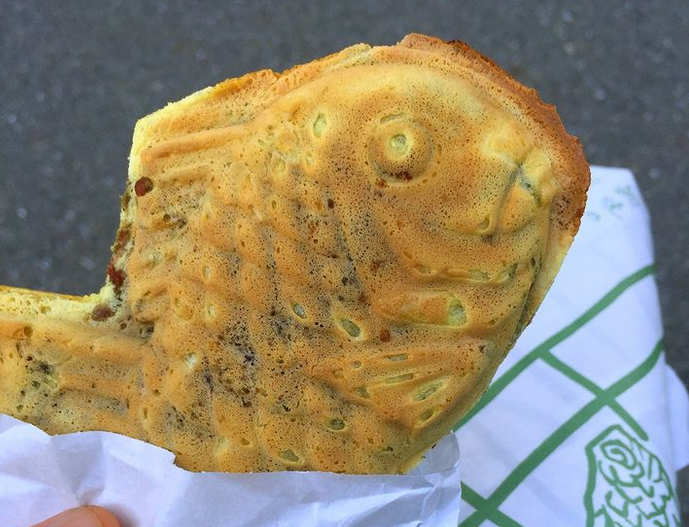 Once you get there, you’ll never have seen wings on a taiyaki like these ones. You’ve just got to give one a try! Well, there you go. 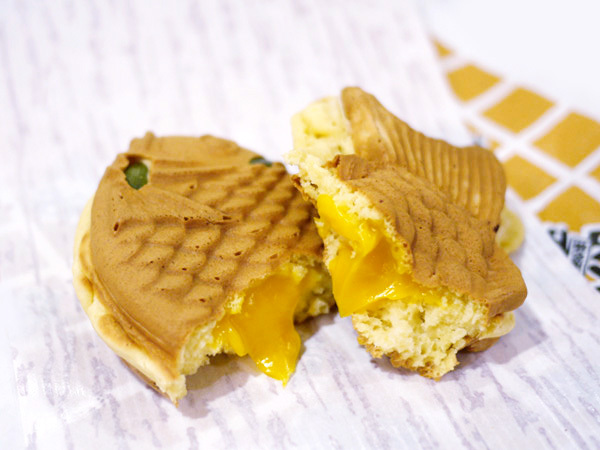 Ten must-try taiyaki stores in Tokyo. Of course, there are still plenty of other unearthed gems out there waiting to be discovered. 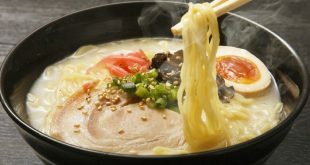 So whether you are a uni student on the way home from class or a salaryman looking for a sugar rush to get you through the day, go out and enjoy a warm and fluffy piece of happiness this winter.